The proposed ADA compliance deadline, which would have provided clear guidelines regarding website accessibility, has been pushed off by the DOJ. 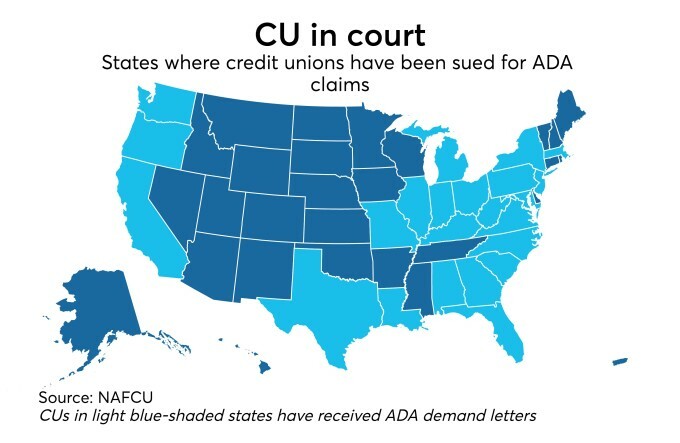 Regardless, hundreds of credit unions are still receiving demand letters and being served with lawsuits regarding a lack of website accessibility for those that are disabled. Web Content Accessibility Guidelines (WCAG) 2.0 was designed to assist in making web content more accessible to people with disabilities. Unfortunately, some law firms are seeking to benefit financially by threatening credit unions with lawsuits that don’t adhere to the WCAG. To avoid the high cost of a legal settlement (that only settles with the law firm bringing the suit), credit unions must show that they are taking steps to make their website accessible and have actions in place to continue accessibility as their website changes and grows over time. The CUWD web development team has the knowledge, tools, and experience to assist credit unions nationwide with bringing their websites in line with the WCAG 2.0 AA standards. Many credit unions have found a great value in partnering with CUWD to make their websites accessible for people with disabilities within 75 days.